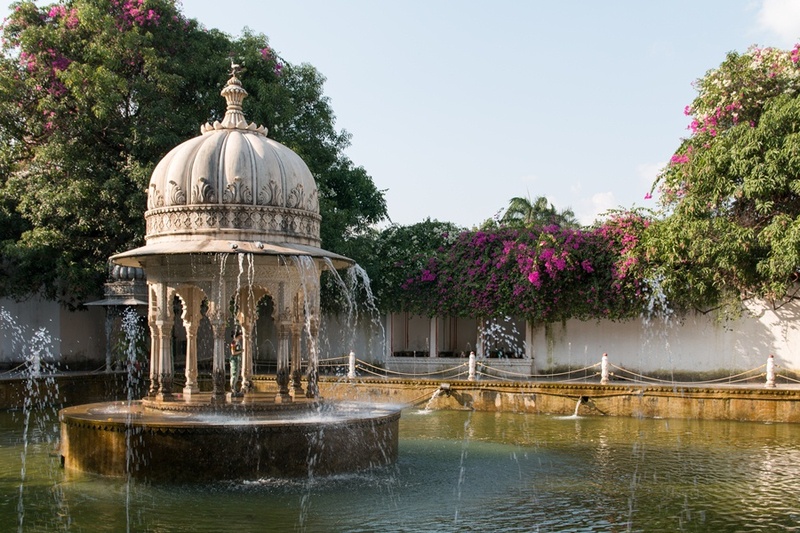 Here you will get list of 10 best picnic spots in Udaipur. An idle picnic includes – exquisite scenery, appetizing home-made food, restful seating, a good company and a picnic basket. If the aura and environment of the picnic spot is vivacious it automatically uplifts your mood concluding the picnic outing with a vital visage that is ready to get back to the work weekday life. As Udaipur is surrounded by Aravalli range of mountains, the city is blessed with warm picnic spots, offering a variety of resources. 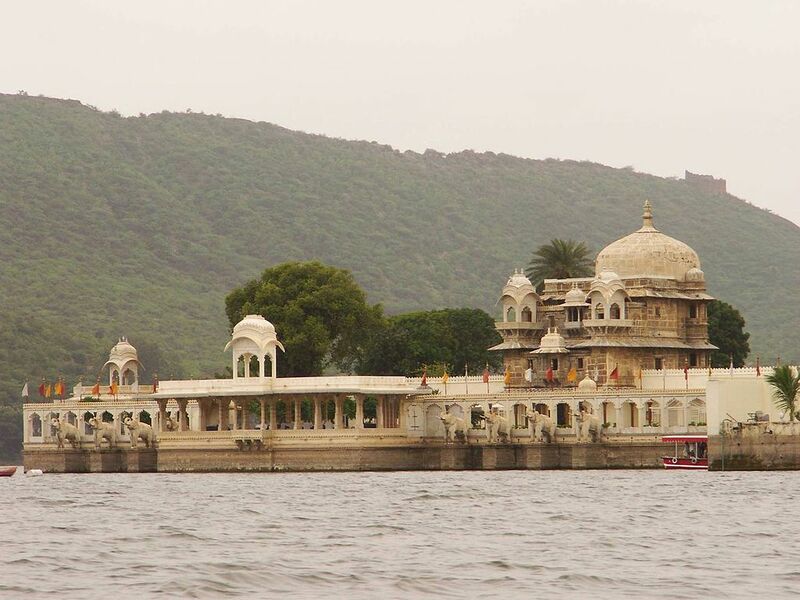 Here is a list mentioning all the picnic spots in and around Udaipur. An alluring location, into a lush village situated at the outskirts of the city, providing a weeny stream of water with serene environment away from the hustling, carry some floor mats along for a pleasant seating. The villagers are welcoming, but occasionally children surround civilians and beg for money, we request you not to encourage begging by entertaining them. How to reach: Advance towards the Udaipur-Ahmedabad Highway (NH8), after a small drive you’ll come across a hoarding of ‘Aaram Bagh’ on your left, turn and proceed towards the Chandani Village till you find a bridge with water stream under. 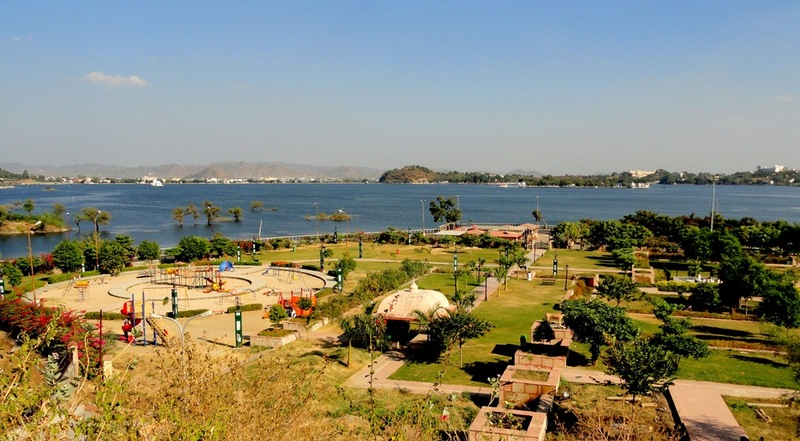 If you’re looking for a perfect family picnic spot in udaipur, this is the place that’ll absolutely content you! Lush green gardens with fountains + various slides for toddlers + several food stalls serving variety of eatables, you can play various outdoor games as well in the vast area. Rajiv Gandhi Park is well maintained with dustbins installed all around the park, making it a tidy and hygienic place to be. A religious place with immense beauty of waterfalls, greenery, mountains, pure aura, topped with a small pond. The place is crowded with locals in the monsoon season, as the rainfall turns the place heavenly. 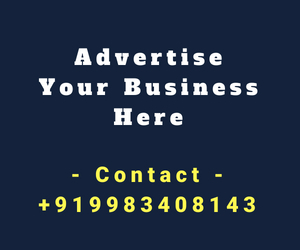 How to reach: From Rampura Circle take a right, locate a signboard with an arrow stating ‘Ubeshwar’ with an arrow, drive on the particular road for around 25 minutes, you’ll arrive at your destination. 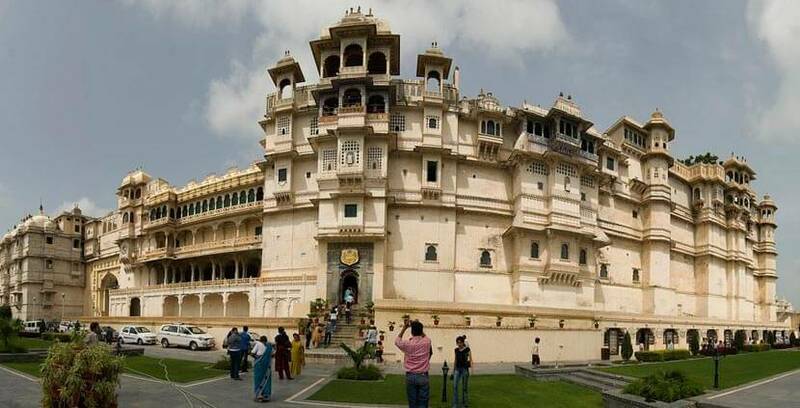 Initially it was built by a Maharana for his queen and royal ladies, to provide them a courtyard to spend quality time. It is now open for public and makes it an apt location for having an eventful picnic. The courtyard includes well-extended green gardens with innumerable fountains and statues; also a museum is present in the garden that contains several historic paintings and stuffed animals, that might interest civilians. 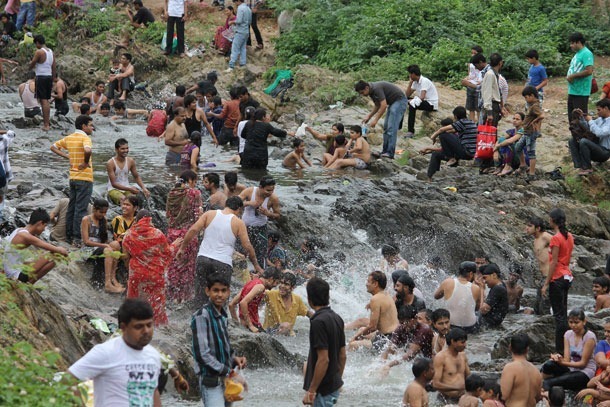 Another religious pilgrimage that is also a popular picnic spot, it is mostly visited after the first few rainfalls as the water stream starts gushing near the temple leaving an alluring spot for a fine picnic. How to reach: Take the straight road from the Rampura Circle and drive straight towards the ravishing picnic spot. 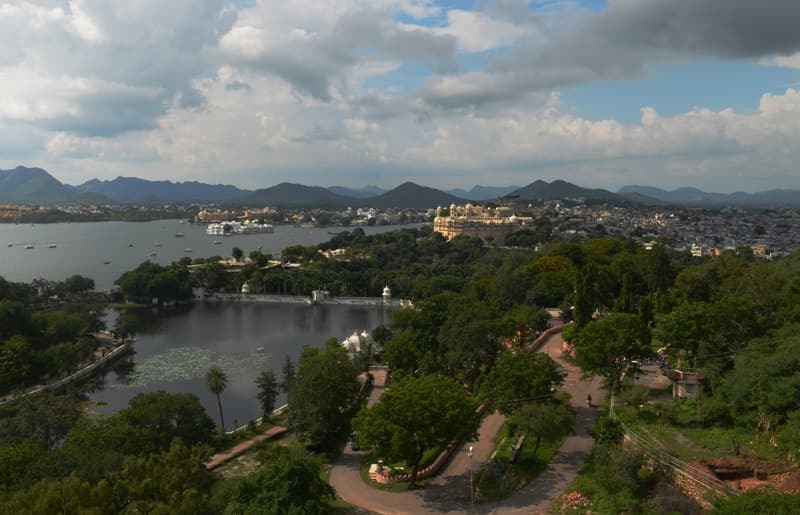 If you’re looking for an extreme alluring location that provides you an aerial view of the Aravalli range complementing Fateh Sagar Lake, this is the best scenic place. 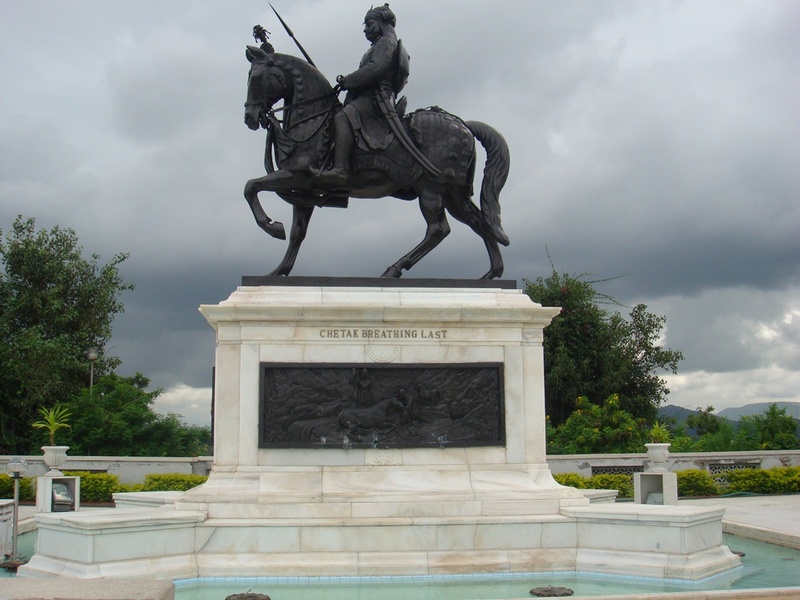 Situated on top of a hill this place is a memorial of the Rajput Hero Maharana Pratap, also a museum is present in the premises that demonstrates the Chittorgarh Fort, Haldi Ghati Battle and other ancient scenes. In the evening a light and sound show is held that makes the hill sparkle just like a Pearl. 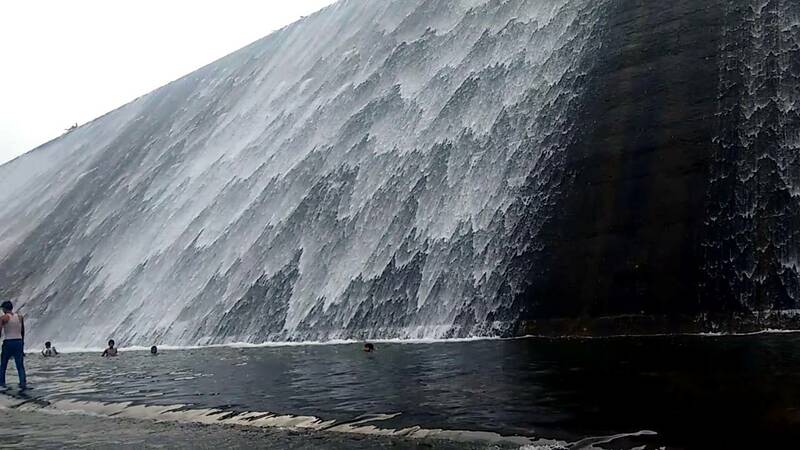 A much visited place in the monsoons, when the waterfall starts decorating the nearby environment of the place. 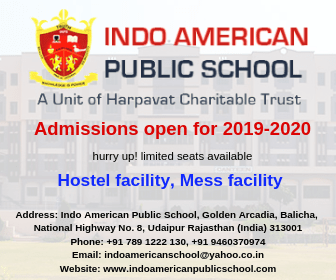 We recommend you to wear comfortable footwear and carry enough food and drinking water as the location is inside a village and it is hard to find an eatery nearby. 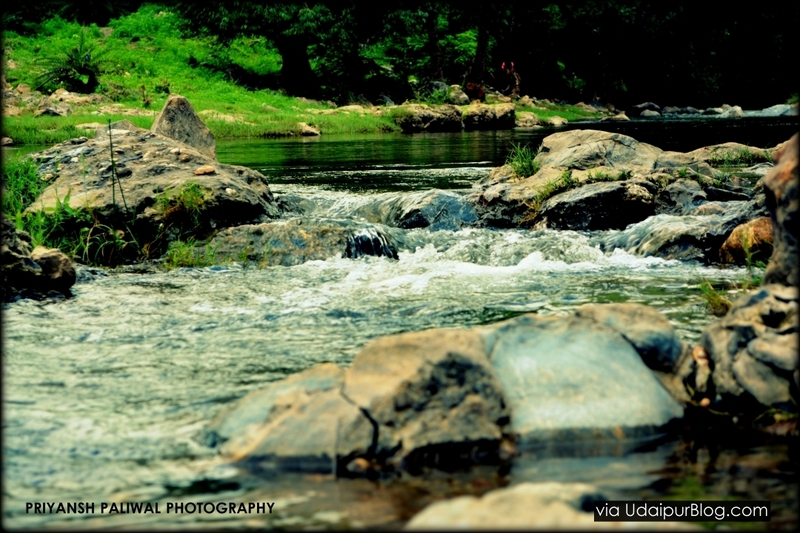 Location: 11km north from Udaipur City Center, Village Thoor (in Bargaon district). Situated near Dudh Talai Lake, the Park contains a variety of amusing slides with pathways leading to warm gardens and statues making it a perfect location for picnic. Also you can enjoy nearby rope-way to Karni Mata Temple, we also recommend you to visit the nearby Musical Garden for an evening Music-Light Fountain Show. 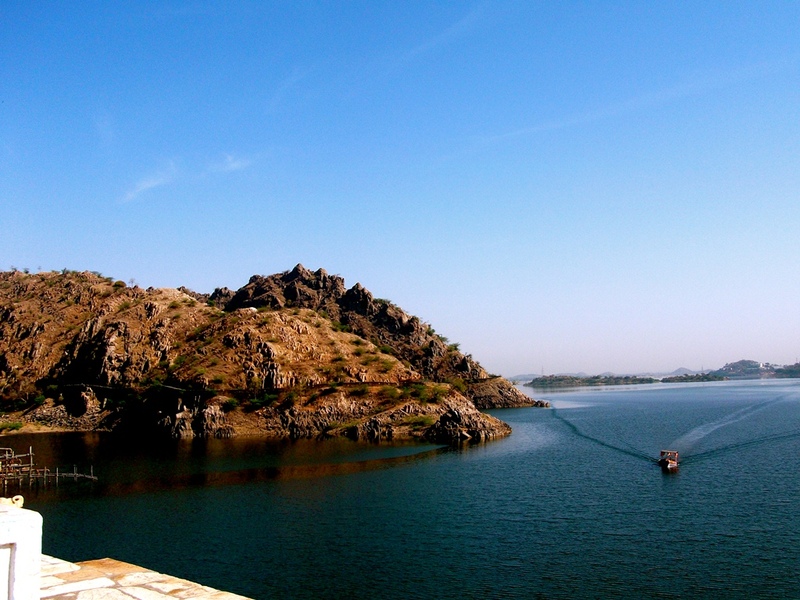 The Dhebar Lake also renowned as Jaisamand Lake is a humungous water stretch that includes 11 islands in it, also the walkway-way is the place where the unblended breeze shall gust your hair and enter the nirvana space of your soul. Various marble chattris (cenotaphs) will serve as a resting place where you can rest your picnic matt. Also don’t forget to get yourself clicked sitting on the marble elephants that enhance the grandeur of the Lake. 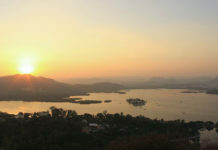 Location: A 45km drive from Udaipur City Center. 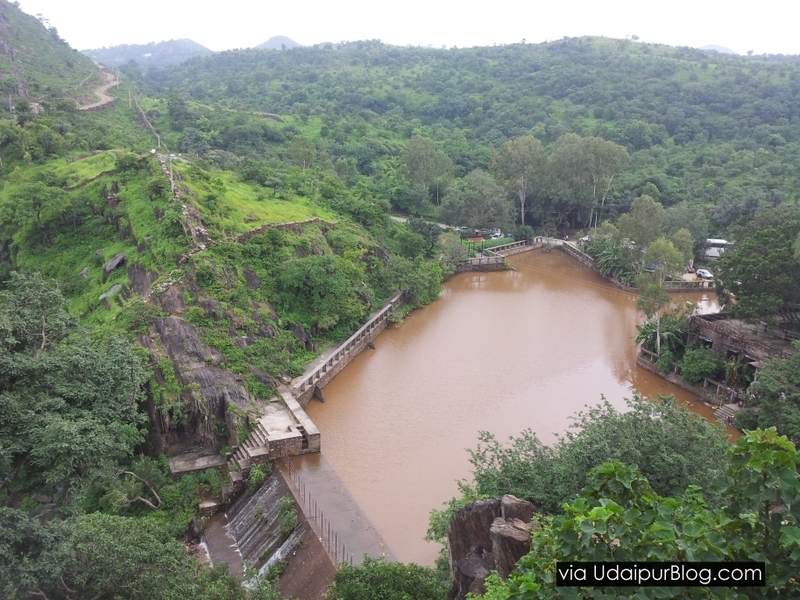 Another waterfall location near Udaipur, that becomes a hotspot for the locals as the monsoon season arrives. 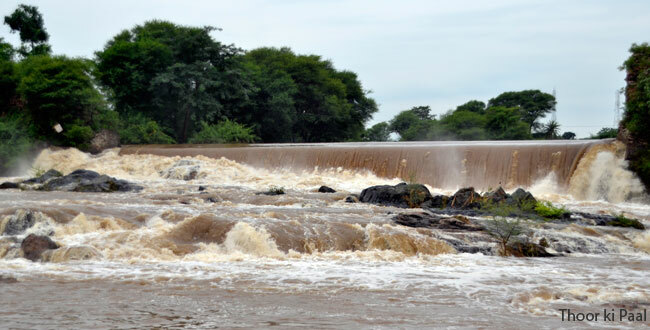 After the dam overflows it is worth a sight, we suggest you not to climb on top of the dam, it could be dangerous, also the rocks under the water stream can be pointy so be careful if you plan to get drenched in it. 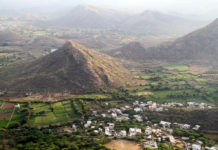 Location: 36km from Udaipur City Center, approximately a 43 minute drive. We wish you a very Happy Picnic! 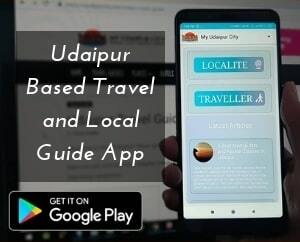 Let us know your experiences and share pictures of various locations; also if you discover another picnic spot in or around Udaipur, mention it in the comment section below. Don’t forget to like, subscribe and share the article! nicely written …Thank you for sharing.